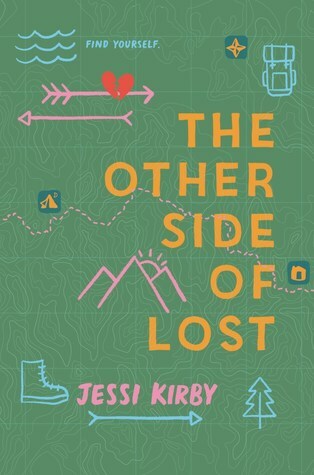 The Other Side of Lost is the second book that features hiking and camping that I’ve read this year, and I’ve got to say that it was positively brilliant. Mari Turner is an Instagram celebrity, at least up until the day that she posts a confessional video about how she’s living a lie and it goes viral. To get away from the backlash, she decides to do what she and her late cousin Bri had always said they would when they turned 18: hike the entire John Muir Trail. Armed only with Bri’s gear and diary full of plans and her own emotional turmoil, Mari embarks on this journey not knowing that she’ll have to face both the physical difficulties of the trail and her own internal struggles as she tries to find her way back to who she really is. I have always enjoyed Jessi Kirby’s novels, and while Golden is still my favorite (though I think I should reread just as a comparison), The Other Side of Lost certainly gives it a run for its money. Kirby just manages to capture both the beauty and hardship of embarking on something as daunting as a hike on the John Muir Trail with her words (and it even made me want to go on a hike, and I’m not the hiking type). She also manages to juxtapose Mari’s internal journey with it, allowing readers to really get into Mari’s head, to see what she’s thinking and how she’s feeling. It was lovely to watch both journeys unfold, and I was hooked on this story from the very first page! The Other Side of Lost certainly deserves more attention, and I would highly recommend checking it out. Is there a natural sight or wonder that you want to see in person one day? I can think of quite a few I would love to see (Antelope Canyon, the Northern Lights, to name two), but the one currently on my mind is Rainbow Falls in Yosemite. It is incredibly gorgeous, and one day, I will get to visit it myself. Three teens are brought together by their summer job, and it proves to be the catalyst for a summer that will change their lives. 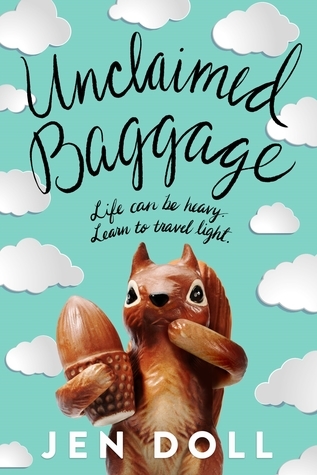 If that sounds like the type of YA contemporary you're into, well, Unclaimed Baggage is definitely one you need to pick up! Doris, Nell, and Grant are three very different individuals who are dealing with a lot of personal baggage. Their paths cross at Unclaimed Baggage, a store where lost luggage is cataloged and resold. As the three teens work to get the merchandise sorted, they just might find that their budding friendships will help them sort their own emotional baggage out so that they can move on towards the future. I'm partial to stories where the characters come together by sheer coincidence, only to find that their presence in each other's lives has a significant impact on who they are and where they're headed. (As aptly quoted from one of my favorite musicals, "Because I knew you, I have been changed for good.") That's precisely what readers will get with this novel! Each teen is dealing with something specific: Doris is one of the most liberal individuals in her town, Nell has just moved away from the place she loves and Grant is a football star with a drinking problem. The three of them end up working together at Unclaimed Baggage (which is 1) an actual place and 2) a fun backdrop for this story), and their relationships with one another become catalysts for changes in themselves and their perspectives. While I wish I'd been able to personally connect a bit more to all these characters, and I do think that it does take time to get used to the perspective jumps, I still think this novel was good overall. What was your favorite summer job? I worked for Nickelodeon in the Philippines for a summer when I was still in college! It required a lot of event preparations and on-site work, but it was so rewarding to see things coming together and to witness the kids having fun with whatever we'd put on for them. I also loved the team of fierce, fabulous, funny ladies I worked with too!